2healthguru interviewed Ed Bennett of ‘Found In Cache: Social Media resources for health care professionals’. Ed Bennett is a thought leader in the field of Social Media for Hospitals. He is a progressive voice, documentarian, and visionary change agent in the social media for health care organizations’ space. His commitment to track, update, educate and vet emerging health care organizational participation in social media is a major contribution to the granular evolution of the space. Listen and enjoy this interview. Recent research shows that marketing firms actively use social media sites such as Twitter, Facebook and LinkedIn to promote their doctors. But simply posting what your CMO had for lunch isn’t going to do much to help move your business forward. Smart companies are tactically using social media tools to increase their exposure to potential customers or patients or referrals. Using social media allows your hospital or med school to reach the highest number of potential patients or prospective trainees possible. Getting your name out there is incredibly important – studies have suggested that customers need to hear a company’s name at least seven times before they will gain the trust and respect needed to become a client. 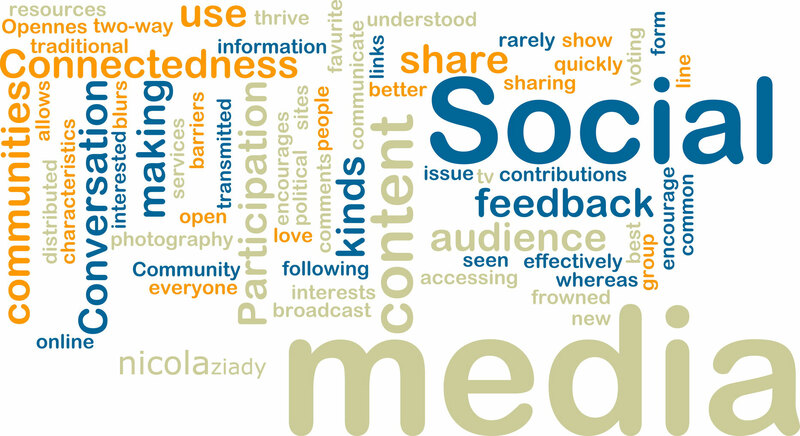 Having a social media presence allows you to better understand what current and potential patients are saying about your physicians or service-lines. Through active social media monitoring, you have the opportunity to address negative comments and correct false or inaccurate information about your brand. Your target audience is becoming savvier when it comes to the using social media sites in their daily lives. If you want to appear relevant and in-step with the latest advances in technology, your potential customers will want to see you on these sites as well. You shouldn’t neglect your personal social media accounts as potential avenues to promote the activities of your business. Posting regular updates relating to your business and activities can remind your friends of what your company does and either to use your services or refer one of their friends. Your hospital profile is a great opportunity for you to post regular updates on your activities, but also about important news and trends in your specialty. This will catch the attention of new patients interested in your service-line and increase your reputation as an expert in the field. It’s critical to post regularly if you want to increase your followers or fans and convert them to potential leads. By updating regularly on sites such as Twitter, Facebook and LinkedIn with posts that link back to your site, you can create additional traffic to your site. Social media bookmarking tools like Digg, Stumbleupon and Slashdot can also generate additional traffic to your site if you create frequent articles and blog posts. Many social media bookmarking sites use NOFOLLOW tags that limit the outbound link value of posts made on their sites. There are still many leading social media sites that allow DOFOLLOW tags including Slashdot, Digg, Furl, Mixx and FriendFeed. However, you can see benefits from posting to social media bookmarking sites that use NOFOLLOW tags if people read your posts and link back to your Website. Social media profiles frequently rank highly with major search engines. Using brand names and keywords in your profiles can help you to generate traffic for your social media sites and company homepage. Search engines like Google and Microsoft Bing are increasingly interested in indexing and ranking posts and other information from social media sites. Videos from popular Internet sites like YouTube can also be optimized for indexing by the major search engines. Social media allows you to reach very specific subsets of individuals based on their personal preferences and health interests. You can create social media strategies based on reaching individual interests or even create unique social media profiles to target these audiences.